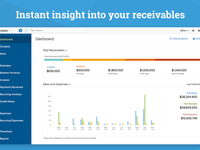 Zoho Invoice is the perfect invoicing tool for freelancers and small business owners. It's simple and business owners can get started in no time. You can start sending customized invoices in seconds.